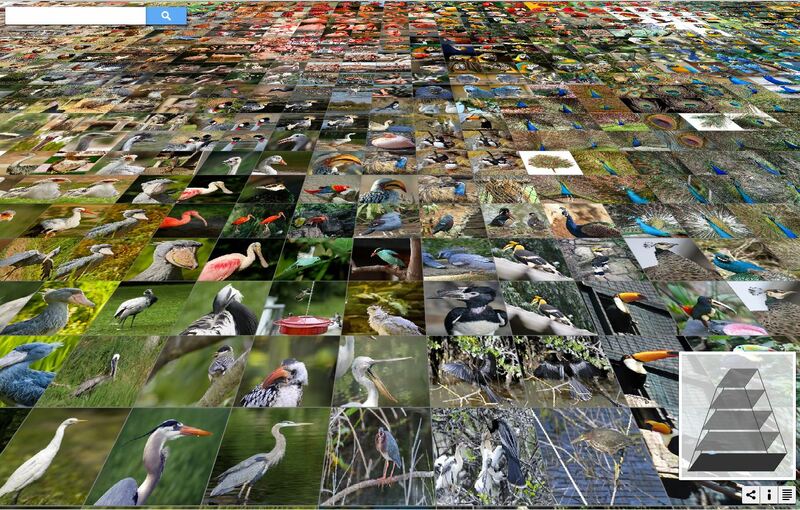 In Kiano, thousands of photos can be viewed simultaneously on a map without losing the overview. 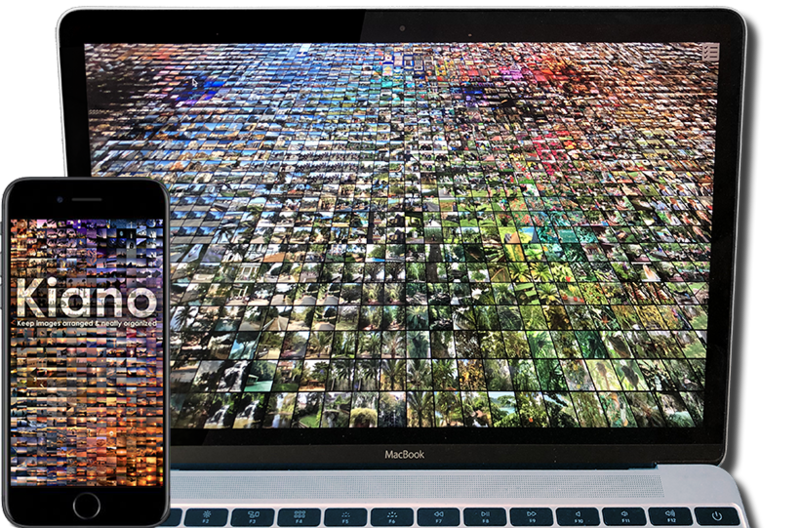 Kiano helps to look at your photos in a completely new way. With simple gestures it is possible to visually navigate through your pictures. Learn more about Kiano (in German). Download the free app for iOS here. Draw a simple sketch, which the computer immediately transforms into appealing pictures. 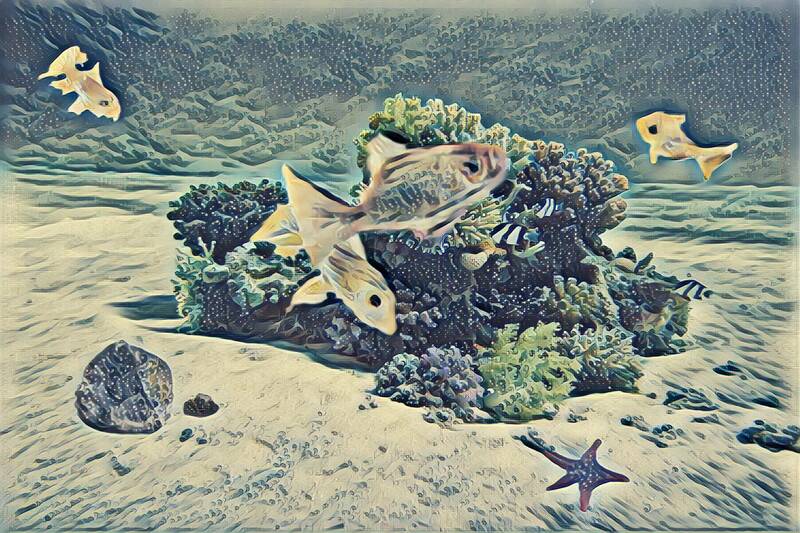 We use a neural network that generates "paintings" with an artistic style. Preview of our new reseach project. Search private untagged images with keywords or explore them using an interface similar to Google Maps. akiwi is a semi-automatic image tagging system able to suggest keywords for unknown images with minimal user input. 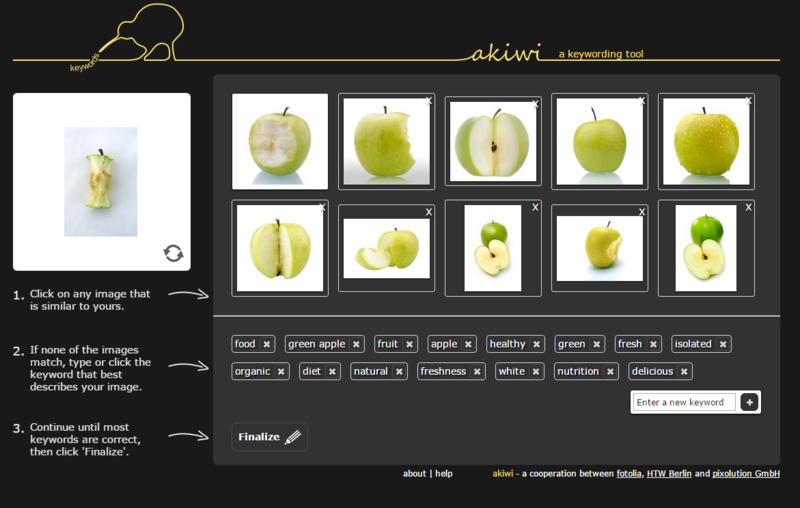 Use akiwi to find keywords for your images. Tag your own images now. 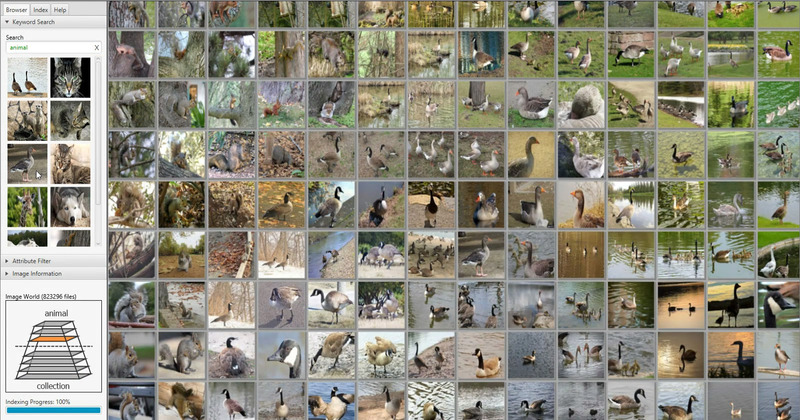 Use picsbuffet to visually browse millions of images in your browser. 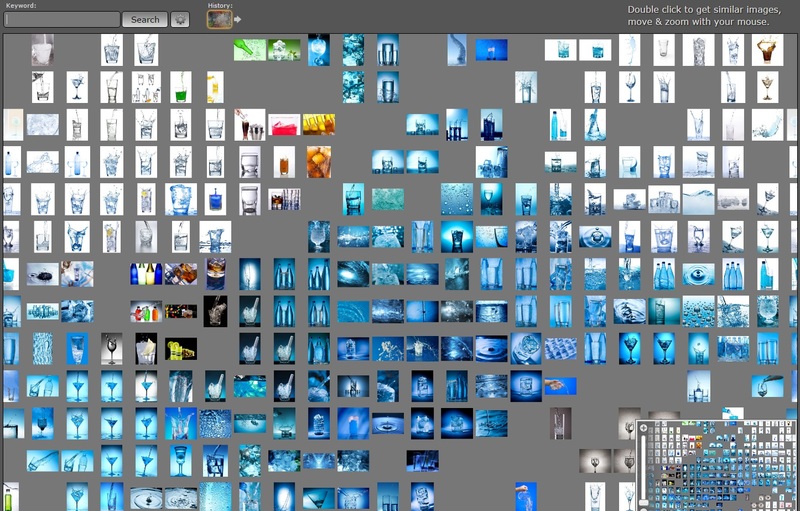 Explore the photo collection of Pixabay, Fotolia or even the product line of IKEA. 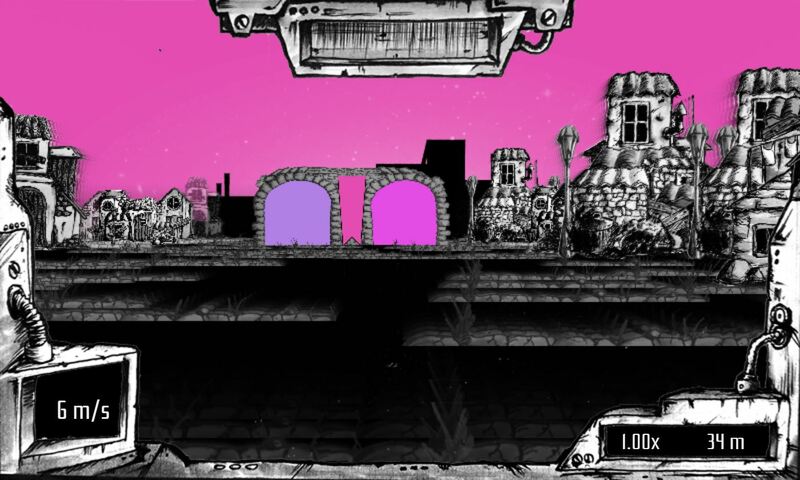 The game Apetopia helps the computer to determine perceived color differences. Players choices are used to model better color metrics. 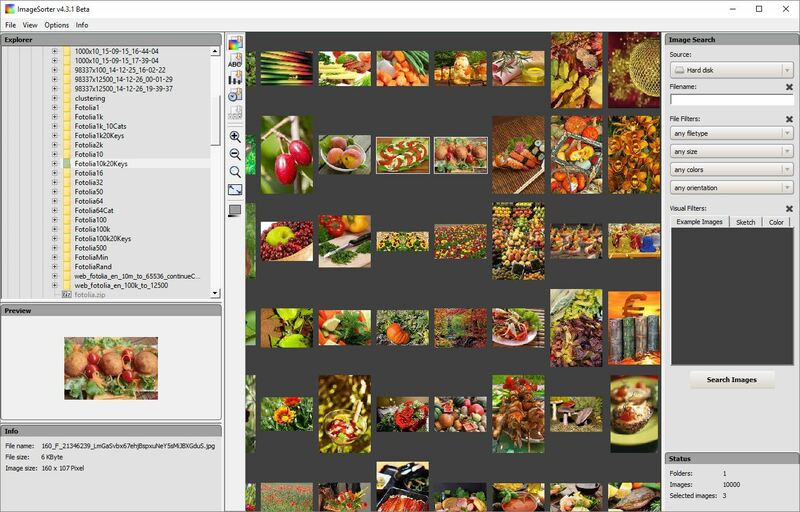 Use our (older) ImageSorter software to view hundreds of your images visually arranged by similarity. Clustering helps to get an overview of different concepts associated with a query. Even with very vague keywords particular images can be found very quickly. See for yourself. Go to the website. Image navigation the better way. 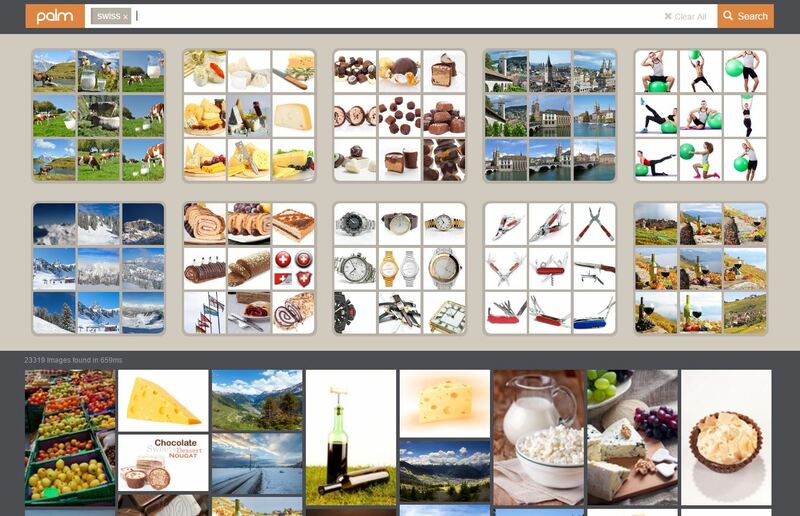 Due to the visual sorting, PicsLikeThat can show several hundred images allowing easy inspection.